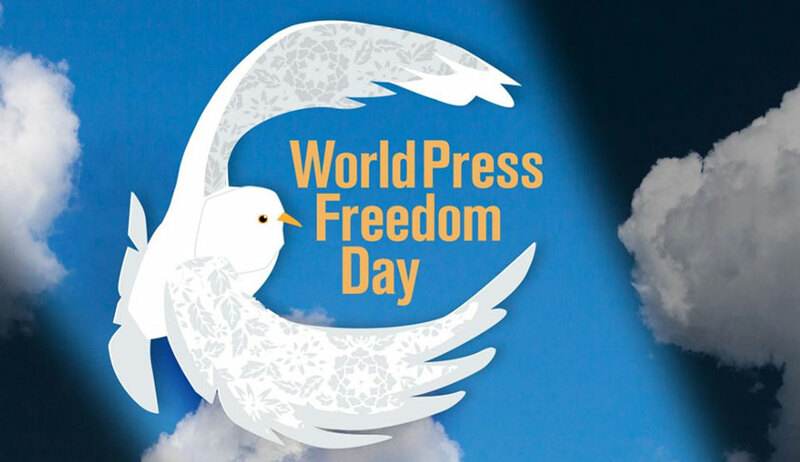 As World Press Freedom Day is being observed on May 3, things are not looking very bright for Indian media. India is reported to have slipped by two ranks to 138 in the World Press Freedom Index, one rank above Pakistan. The Reuters reports that threats faced by Indian journalists have intensified over past few years, with the threats not just limited to physical threats, but manifesting in the form of cyber abuse, mass online trolling, vexatious litigations etc., to constitute a chilling effect on press freedom. However, things are not as that bleak as it appear, as the courts have intervened on many occasions as a saviour to protect press freedom. Let’s have a glance on some of such instances, which have taken place in the first quarter of this year. The most notable instance is that of Bombay High Court lifting the gag order imposed by the trial court to prevent media coverage of the trial proceedings in Sohrabuddin encounter case. The high court quashed the gag order, primarily on the ground that trial court had no power to impose such restrictions. Emphasising the concept of ‘open court’, the high court, speaking through Justice Revati Mohite Dere, stated that an `open trial’ sub serves the ends of justice. It acts as a safeguard for protection of the rights of all i.e. witnesses, accused, etc., and as such ensures fairness of the proceedings. Open trial is the rule and must be scrupulously adhered to, except in extraordinary circumstance. The Addl District Court Delhi refused to impose gag order on media to restrain them from reporting the proceedings in the sexual harassment case against RK Pachauri. The court also vacated the earlier order passed by the predecessor judge which had directed that reports about Pachauri’s case should be accompanied with the disclaimer that ‘the allegations have not been proved and they may not be correct’. Now if the media cannot be restrained by way of any injunction – no gag order can be passed against the media, by adopting the same principle or analogy the media/defendant nos. 1, 2 and 3 also cannot be compelled to report or published the matter in any particular way or laced with condition so that the innocence of the plaintiff is prominently highlighted or displayed. As a matter of fact, if a person cannot be gagged then also he cannot be coerced to speak in a particular manner. Both affront the Constitutional guarantee of freedom of speech and expression, the judge observed in the order. At the same time, as a reminder of journalistic ethics, the court also added that “the media by its reporting should throw more ‘light rather than generate heat’ on the subject or issue as the same would not only enlighten the viewers/readers, commensurate with their right to know and being informed rather than stoking the passion. During February 2018, a Delhi court vacated the injunction restraining The Caravan from reporting against Arindham Chaudhari and his educational institution Indian Institute of Planning and Management. The Caravan, in its article titled “Sweet smell of success – How Arindam Chaudhuri made a fortune of the aspirations and insecurities of India’s middle classes”, had alleged that Arindham Chaudhari was running a scam with bloated misrepresentations about IIPM. The Delhi court found that there was no material to conclude that the stories have been published by the defendants with a reckless disregard for truth or precipitated by actual malice or that the defence of justification/truthfulness/fair comment is one that cannot succeed. The Madras High Court quashed a criminal complaint filed against a cartoonist in a Tamil daily for drawing a cartoon portraying DMK members as monkeys. The cartoon published in Dinamalar had portrayed DMK leader M Karunanidhi as the cap seller while the party workers were shown as the monkeys taking cue from the story ‘The Cap Seller and the Monkeys’. The court also said when applying the yardstick of defamation in the case of cartoons, the threshold must be very high. “In Tamil Nadu, there have been a number of celebrated cartoonists. Many of us grew up enjoying the cartoons of Madhan that appeared in Ananda Vikatan. The cartoons that appear in Thuglak continue to enrich our understanding of politics. The cartoons of Keshav and Surendra appearing in ‘The Hindu’ enliven our mornings. A cartoonist must be able to work without any inhibition. He should not be under any stress that his caricature would be followed by a criminal prosecution. Of course, this Court would not suggest that a cartoonist can do anything he pleases,” Justice Swaminathan observed in the judgment. At the same time, there are instances of courts restricting publication rights as well. The Wire is facing civil and criminal defamation proceedings over its article against Jay Amit Shah, son of Amit Shah. Although the trial court had vacated the ex parte order of injunction against publication, the gag order was restored by the Gujarat High Court. The proceedings are now in the Supreme Court, in the appeal filed by The Wire against Gujarat High Court order. Recently, A Delhi Court gagged the media from covering the proceedings in the FIR against retired Orissa High Court judge IM Quddussi. Although courts have been generally protective of press freedom, the fact that press persons are forced to initiate litigation to secure their fundamental right to freedom of speech and expression reflects poorly on the level of tolerance in our society.